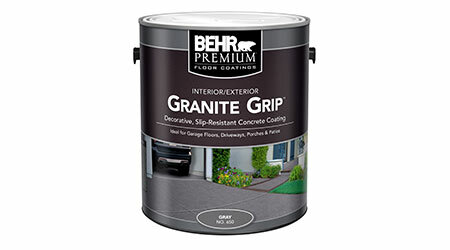 Granite Grip features a multi-speckled finish for horizontal concrete and masonry surfaces. The coating offers a protective finish that fills hairline cracks up to 1⁄8 inch and can resist dirt, grease and everyday stains. The coating can be applied to areas such as garages, driveways walkways, patios, porches and pool decks.